Vergennes bed and breakfast travel guide for romantic, historic and adventure b&b's. 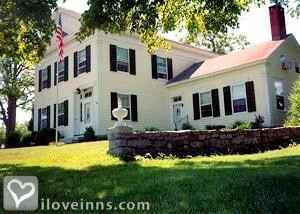 Browse through the iLoveInns.com database of Vergennes, Vermont bed and breakfasts and country inns to find detailed listings that include room rates, special deals and area activities. You can click on the 'check rates and availability' button to contact the innkeeper. North of Addison County in Vermont is the beautiful city of Vergennes. Labeled as the Little City on the Falls by locals and visitors alike, Vergennes does indeed offer architecture of early 19th century. About five miles from the center of Vergennes is the Lake Champlain Maritime Museum, one of the most visited sites in the city. Also five miles away is Button Bay State Park which offers some of the most attractive natural scenery in the state of Vermont. Nearer to the center of Vergennes is its Opera House which regularly features performances. Those who would like to do some healthy activities such as hiking, biking, and jogging can go to the Vergennes Falls Park. Vergennes bed and breakfast inns are also found near here. By Basin Harbor.